Integrated Systems Europe, Amsterdam, February 10, 2015 – Taking a major step forward in audio system control, Bose® Professional (Stand 7-P190) introduces ControlSpace® Remote, a new installer-configured mobile device app, designed specifically for end-user wireless control using Android™ and iOS mobile devices. ControlSpace Remote is a free download on the Google Play™ and the Apple App Stores, which the installer can integrate into new or existing installations where networked Bose system electronics are in use. ControlSpace Remote consists of two components: Remote Builder, a PC software application where installers design, test and deploy control panels to mobile devices, and Remote App that brings personalized, intuitive audio system control to end users from the convenience of their mobile devices. In creating ControlSpace Remote, Bose leveraged its rich history from the consumer side of the business (developing intuitive remote control interfaces for home audio products) to design a simple mobile app to control even the most complex of installed audio systems. 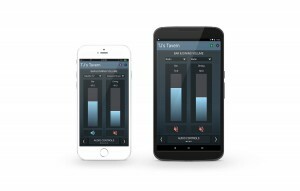 The app provides straightforward control panels, allowing adjustment of volume, mute, source selection and other important parameters of Bose networked amplifiers and DSPs. For advanced users, collections of control panels are displayed as logical groupings which mimic specific zone arrangements in a facility to maximize system utilization. On the front end is Remote Builder, a simple PC software tool, which leverages 12 pre-designed templates that allow installers to arrange control panels quickly while still providing personalization at each end user’s device. Once built, the installer’s design gets sent to the client’s device. Multiple designs and multiple devices can be active together in a single installation to meet the client’s system control requirements. For information about the full range of Bose audio solutions, please visit http://pro.Bose.com.